I have a Teams and its site collection. As an alternative, I've created a Enterprise search subsite. 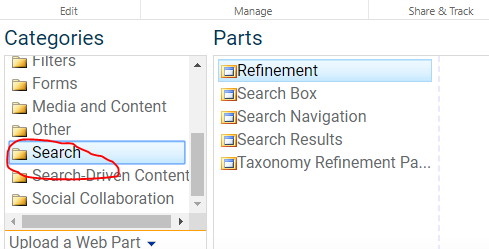 Now, here I have the default search box, navigation, results webparts etc.. but when I edit the webparts, the changes don't get applied when I save the page. Defaults options appear again, so I can't configure it. It seems as only default optiones were available. Is there anyway to configure this? Maybe I need to activate some feature? Not the answer you're looking for? Browse other questions tagged sharepoint-online search enterprise-search microsoft-teams or ask your own question. How to set a page layout for SharePoint enterprise search result page? How can SharePoint search be configured to return results for Microsoft Teams chat (messages)?